The best crowns are the ones you can bake and eat. Fact of life… just saying. Few things deliver as much pleasure and satisfaction as baking a great loaf of bread at home. Growing up in a place called Qormi, a town famous for sourdough bread, I was surrounded by numerous bakeries some of them centuries old. Maltese bakers are very humble artisans, almost unconscious of how great and good their bread really is. Even now that I live in Paris I still catch myself missing the scent of the bread ovens at every three o’clock, both afternoons and mornings. Not that Paris bread isn’t great, on the contrary there are some amazing bakeries here, but no Paris bread will ever find comparison with the Maltese sourdough loaf, partly for the taste but mostly for nostalgia. 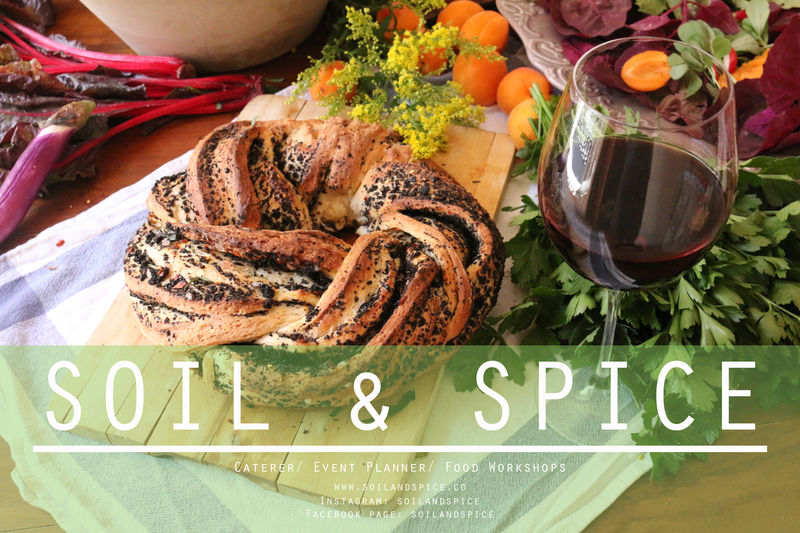 So baking a loaf of bread as my first recipe on Soil And Spice seems like the natural thing to do. 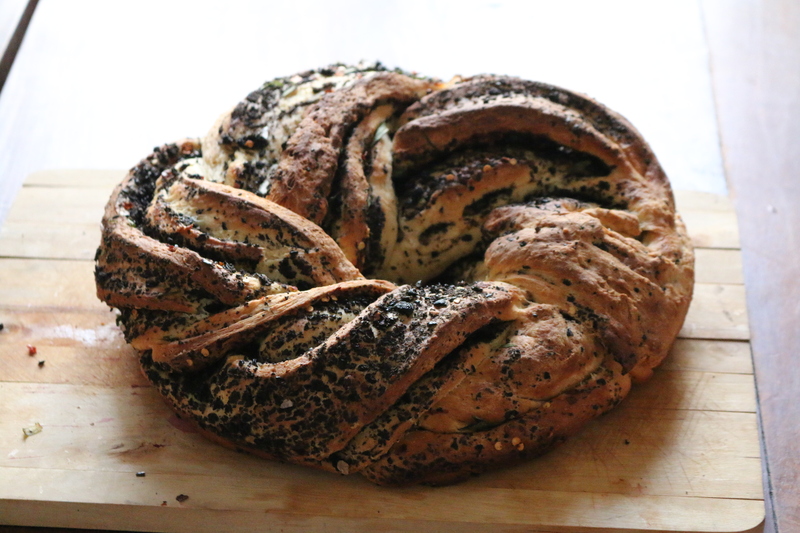 I chose this bread as it is an easy introduction to home bread making, giving a final result that looks quite complex considering the simple work one actually needs to put into it. 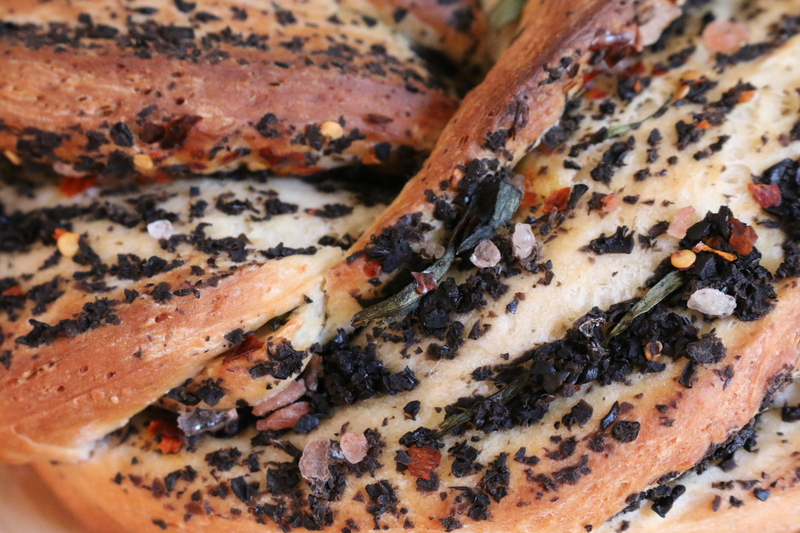 The filling is colourful and flavoursome, and fits quite well within the bounds of summer baking, giving a very light loaf; you’ll want to dive into reckless abandon on your own as soon as it comes out of the oven. I suggest you eat it in company of well deserving humans. 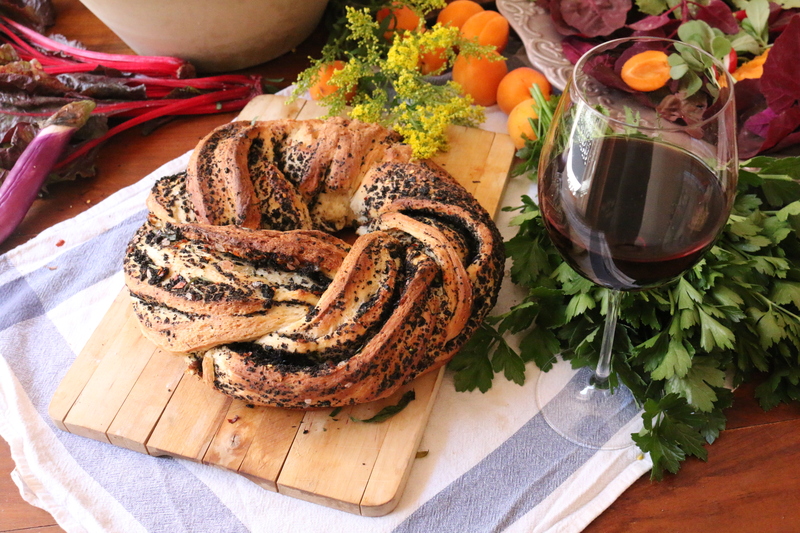 Share this communal bread and drink plenty of red wine with it, heck you can dip it in wine, slather it with salty butter (preferably French in this case), it will make your life worth living. 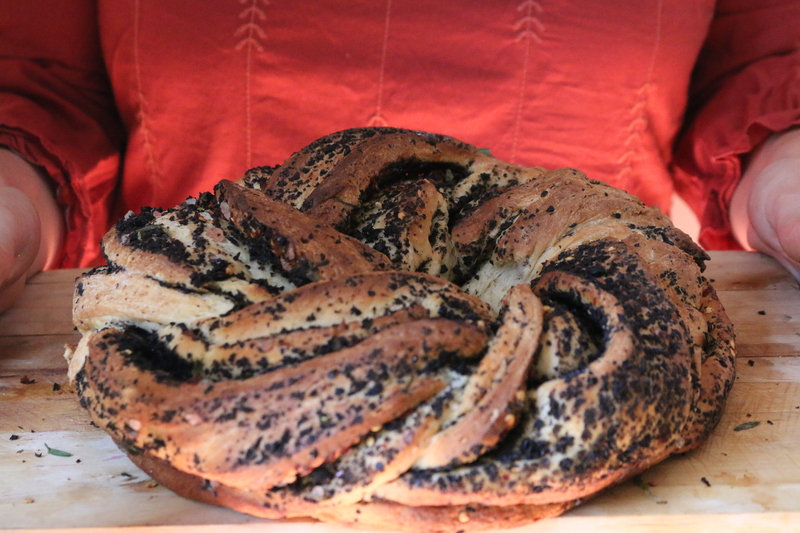 Recipe for One Round Pleated loaf (known as Coronne) Crown for you and me. 1kg Strong/ Bread flour/ usually contains 85% of the wheat grain, T55 will work really well. 70ml of olive oil, see what degree of virginity you prefer, it’s up to you. 2 teaspoons of fine salt, keep as far away from yeast as possible. Reason# 1 it’s always good to have conversations with the people who are cooking or baking your food on a daily basis. Reason #2 Fresh yeast tastes sooooo much better than the instant one, it’s like when you compare a cup of plain instant coffee with a freshly ground espresso, you get my gist now, go and buy some fresh yeast. 400g Black Olives. I like black olives as they have a riper taste than the green ones, and their black against the reds and greens from the chilli and tarragon is quite striking. If you manage to find black olives conserved in oil rather than in brine it makes a big difference taste wise, the olives I used are called ‘Cailletier’ and come from the regions of Nice, but our good Greek Kalamata or even the tiny but flavoursome Maltese olives, will work well in this bread. 50g (a good handful) of Tarragon leaves, remove the stalk, use only the leaves. This dough can be done both by hand or if you are lucky enough to have a food mixer with a dough hook attachment go ahead and use that, I did it by hand, because I’m an incurable romantic when it comes to pastry preparation. Place the flour in a large mixing bowl, make a well in the middle and add the honey with the egg and the oil beaten together. Then drop the fine salt quantity into the flour but away from the well area. In the meantime heat the milk quantity until lukewarm, I would define lukewarm as the temperature of a bath you would gladly plunge yourself into on a cold February evening. Then add the yeast, mix with a fork and allow to foam- that is wait two to three minutes and the yeast should show you how alive and kicking it is at this stage, if nothing happens and all the yeast bits come floating at the top, that’s a sign that the yeast is dead. Not a good sign of course, discard and use different yeast, it’s better then adding it to the flour mix and then having to throw everything away, waste is never a good thing, especially in the kitchen. Add the milk and yeast mixture to the well, mix first with a wooden spoon, then wash your hands and start mixing by hand until you get a soft dough, which still needs a lot of kneading. On a clean surface start kneading the dough, do not add any flour for dusting, it will change the consistency of the dough, have faith in yourself, with enough work the sticky disastrous looking ball will turn into a shiny and firm entity. Let rest, if the bowl is a stainless steel one, transfer the dough into a ceramic bowl, the temperature of ceramic is more yeast friendly then that of steel or glass. While the dough is having its first rise, prepare the filling which is very straight forward. In a food processor, or with a knife, chop the olives until they resemble a tapenade, do not add seasoning, pick the tarragon leaves, rinse them quickly and place them on a clean kitchen towel to remove excess water, prepare a small bowl with the required amount of dried chillies and sea salt. 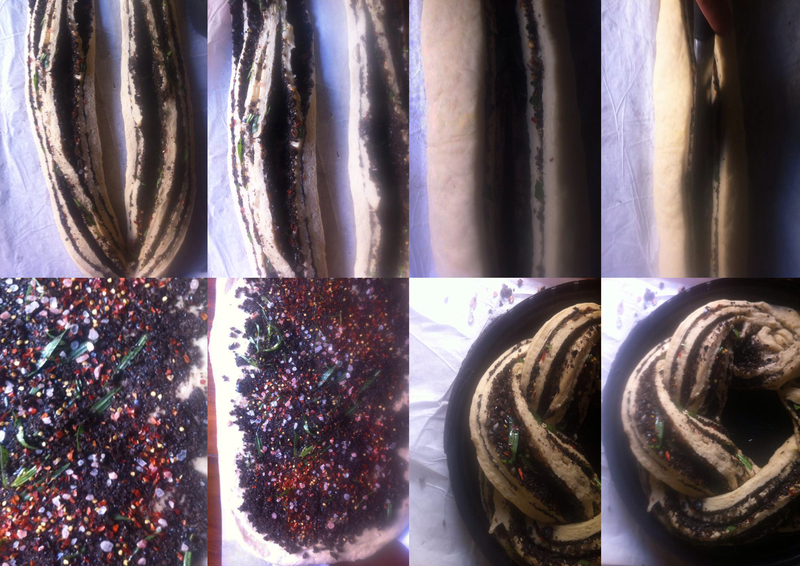 Roll the dough into a rectangular shape around 30cm x 20cm and about 2cm in thickness, spread with the olive tapenade, sprinkle the chilli flakes, sea salt and tarragon leaves, roll the dough into a firm sausage. With a sharp knife cut the centre of the sausage, be ruthless with a firm hand, it’s a fact that dough can smell fear, be courageous and cut, but leave a good 10cm at one end uncut. Pleat the two pieces of dough, not too tight but not too loose, and then form into a circle, joining the ends by adding some more pressure at the joint. There it is, at this point you should be looking at a dough crown fit for any queen in the house. Place in a circular baking dish, do not place in the oven for now as it needs a second proofing, just let it sit for a further 10 minutes, you will see it will obtain a nice rise. Give it a good lick of oil, before placing it in a preheated oven at 200 degrees. Bake the loaf until the dish feels lighter when lifted, and you can see that a good golden colour is present on the whole loaf. Next Post SOIL & SPICE RECIPE NO.2 : Mirabelle and Old-fashioned Oat cookies. 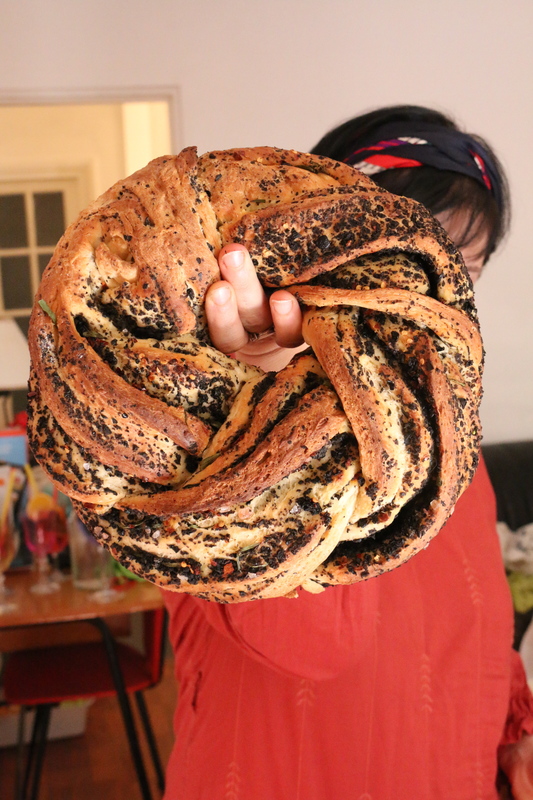 Hi Alexia, cut down transversely you will end up with two long strips of alternate dough and olive filling, then pleat the whole thing into a ring , let rest for a second rise and bake. Hope you will try it, even post a photo of the finished loaf with our tag, it would be great to start a cook along.